Fun Fact: This pole is on a cruise ship. 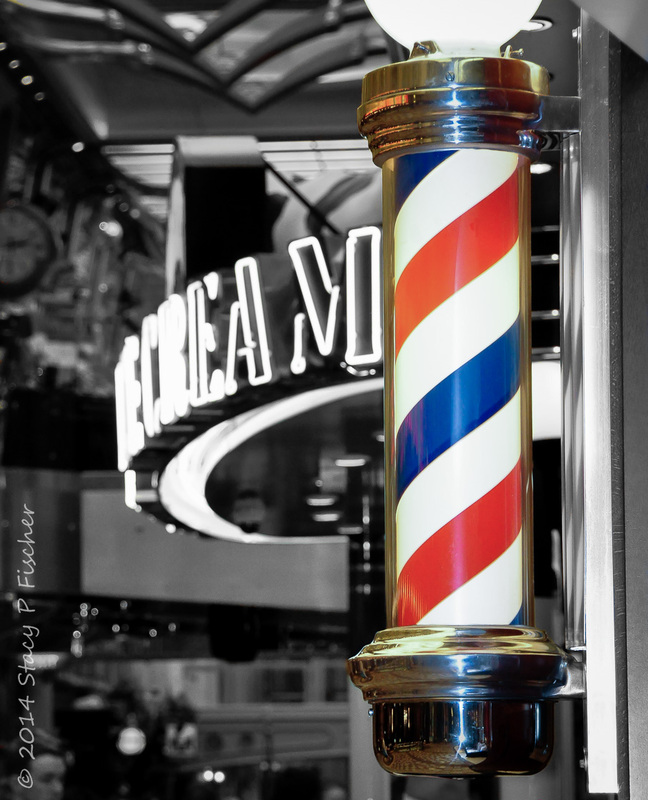 It hangs outside “A Clean Shave” Barber Shop on the Royal Promenade of Royal Caribbean Cruise Line’s Independence of the Seas. Another fun find in my photo archives for this week’s Photo Challenge. This entry was posted in Photo Challenges and tagged barber poles, photography, postaday, selective color, weekly photo challenge. Bookmark the permalink. You are most welcome 🙂 Have a great weekend! Wow! I can see the effort you invested. Great Work! I enjoyed your twists… but this one is my favorite! Good eye! Thanks so much, Nancy! I was a bit stumped when the challenge was first announced, but it’s fun thinking up ways to satisfy it 🙂 Thanks for stopping by! This is a great picture for this weeks challenge – a definite winner.